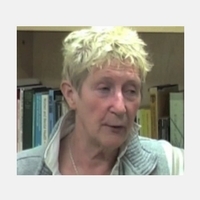 The life of the Writers’ Group started in Professor Ann Davis’ office on the seventh floor in Muirhead Tower, Applied Social Studies, University of Birmingham, in 2004. We were few in number. It was an exciting adventure for most of us – including Adrian Fisher, Jean Jefferies, Elle Milson, Tony Glynn and Ann Davis. We sat around Ann’s table, cup of tea and biscuits to hand. Ann made us feel at ease as we discussed articles to be written and submitted to the ‘Get A Life’ column in the ‘Open Mind’ news magazine. Most of us had never written before but with encouragement from the group we all produced worthwhile articles which were duly published, having first been trimmed down by the Editor. Elle wrote an excellent article about the consequences of the absence of ATMs in psychiatric hospitals: Tony and Ann wrote an academic discussion piece; Adrian wrote about his job at CEIMH/Suresearch at the University of Birmingham and Jean scribed a story on her first trip alone to Bucharest in Bulgaria. We all enjoyed the sessions and became aware that this new outlet helped to aid our recovery. The encouragement and support of the Group enabled us each to develop the new levels of confidence we needed to write our first articles. Seeing them published encouraged us yet more. Many of us, with professional guidance have gone on to be avid writers, sometimes in conjunction with others, producing work that has been published in a variety of journals in various contexts. Elle wrote to Birmingham City Council blue badge department suggesting that people with certain, severe, mental health problems symptomized in fear of crowds, stress related anxiety and panic attacks for example, would benefit from a blue badge to prevent them having to walk through crowds. Unfortunately, she was refused, with regrets. Jean has had many letters published by the Birmingham Mail, various articles have been published too. Ann and Adrian have had various papers published. In October of 2006 we moved house to the Watson Building. Since then, many more people have become involved with the Writers’ Group and have brought their gifts of poetry and short stories to share. As the group has developed, we have arranged various events, including book launches. The first of these was the launch of ‘Depra’, by Renata Ažman, a Slovenian journalist, writer, Creative Writing tutor and therapist. ‘Depra’ is an account by Renata of her own struggles through mental health challenges and of her recovery pathways. ‘Depra’ has already been translated into English and is currently being translated into German. Renata’s work had been nominated for an international writing award this year. The second launch was for ‘Writing Out of the Book’ by one of our ex-service users who is now a Social Worker. Philip Hill wrote his honest and very moving personal story with the support of staff and colleagues of CEIMH and Suresearch. It has been reviewed in recent months in the International Journal of Social Work Education. Many members of our Group are opening closed minds to relieve – and even to heal – the pain and hurts of childhood abuse and adult problems, by writing their stories. More recently, Renata Ažman has been leading and developing this side of our work. We hope to set up a separate regular therapeutic writing workshop for Group members who want to explore this and other creative writing opportunities as a dimension of their recovery journey. The Writers’ Group has gone from strength to strength, producing some excellent work for publication, helping members think better of themselves through their new-found abilities. As an example of what can be achieved, it is worth taking a look at a recent publication by Janet Qureshi. It is also worthy of note that every time this wonderful book of poetry is purchased, Chipmunka Publishing will make a donation to a charity which purchases books for people suffering mental illness. To read about Janet (briefly) and see details regarding the E-book, please follow this link.